The second session of the Sudan/South Sudan seminar series under the theme ‘Agricultural Potential in the Sudans: Past Experience and Future Outlook’ took place on the 7 December 2015. The session which is one of the four Seminar Series of 2015/2016 academic year is jointly organised by the Centre of African Studies at the School of Oriental and African Studies, University of London and the Society for the Study of the Sudans, UK. The series is aimed at bringing together academics and practitioners concerned with Sudan and South Sudan to deliberate on a range of legal, economic, political and cultural issues whilst seeking insights into current and future developments in the two countries. South Sudan has a huge but largely unrealized agricultural potential. 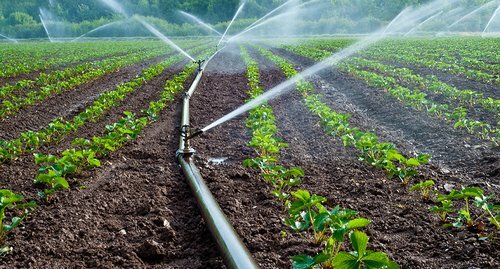 Favorable soil, water,and climatic conditions render more than 70 percent of its total land area suitable for crop production.However, less than 4 percent of the total land area is currently cultivated and the country continues toexperience recurrent episodes of acute food insecurity. 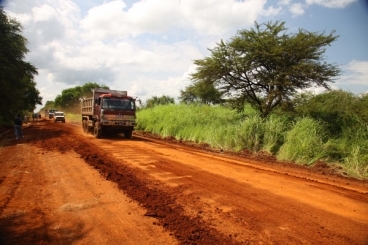 Limited use of productivity-enhancingtechnologies, capacity constraints, non-tariff barriers, high labor costs and poor infrastructure hinderprogress and also constrain production, productivity and the competitiveness of South Sudan’sagriculture relative to its neighbors. 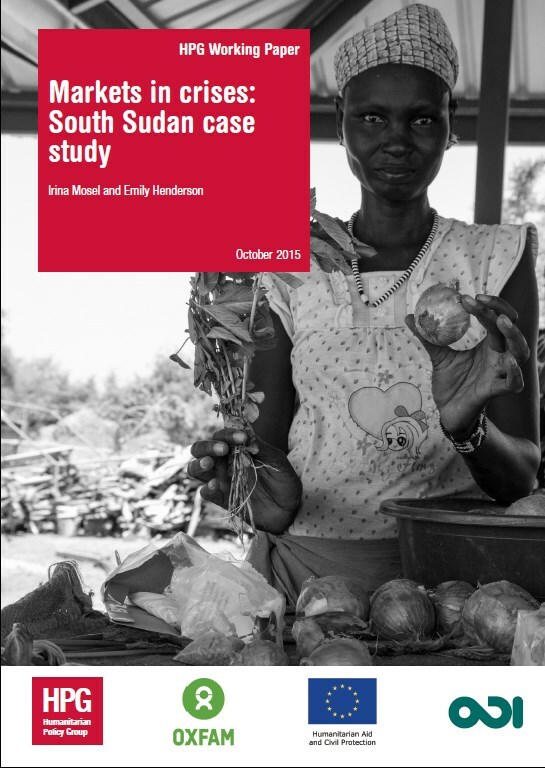 This report presents information to guide planners and decisionmakers not only in addressing both short- and medium-term food security needs but also inpositioning South Sudan’s agriculture sector to effectively compete with its neighbors. 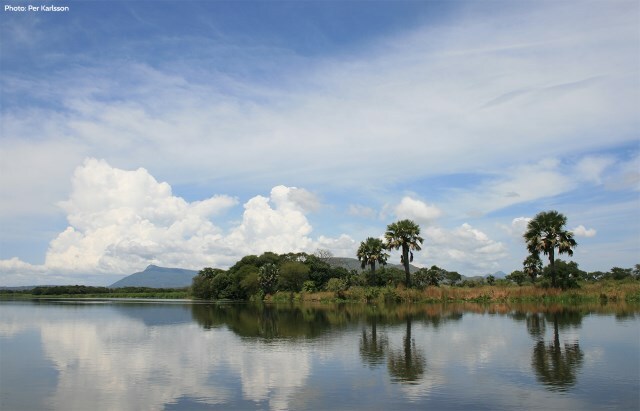 The sum of the internal and external water resources available to South Sudan will depend on some projections on future changes in water demands and the availability of water resources. Predicting this future is by definition a delicate matter with lots of uncertainties that might be involved. This is especially the case for South Sudan, a country still recovering from decades of conflict and as a result is anticipating changes and developments while at the same time still lacking well worked-out long term strategic plans for development of agriculture, industries, etc. 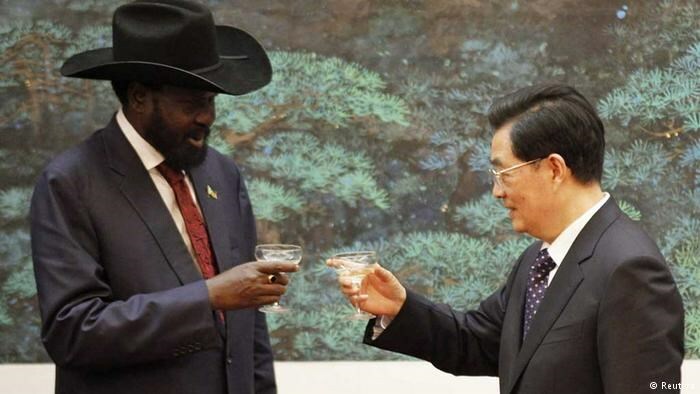 In the wake of Sudan’s partition, Beijing has accelerated are-orientation of its engagement in the resulting two states,most significantly through a new courtship in Juba. China’shistorical support for Khartoum left a sour legacy in theSouth, but the potential for mutual economic benefit meansa new chapter in bilateral relations is now being written.Balancing new friends in Juba with old friends in Khartoum,however, has proven a delicate dance. 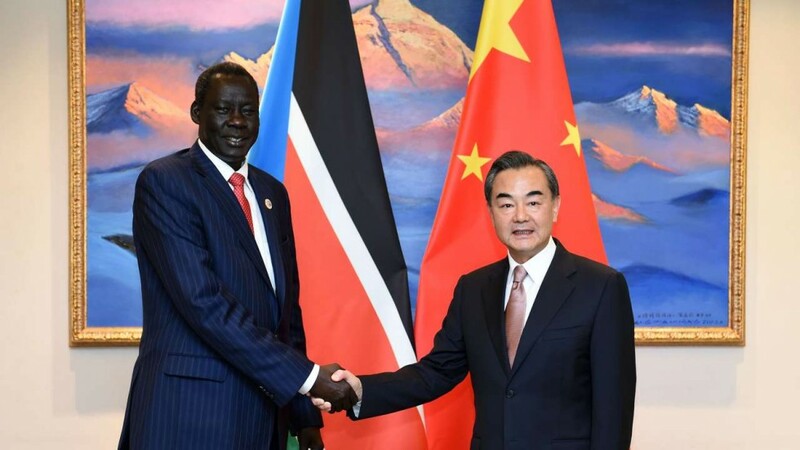 China has beendrawn into a high-stakes oil crisis between the two, theconsequences of which may temper an otherwise rapidlyexpanding relationship with Juba. 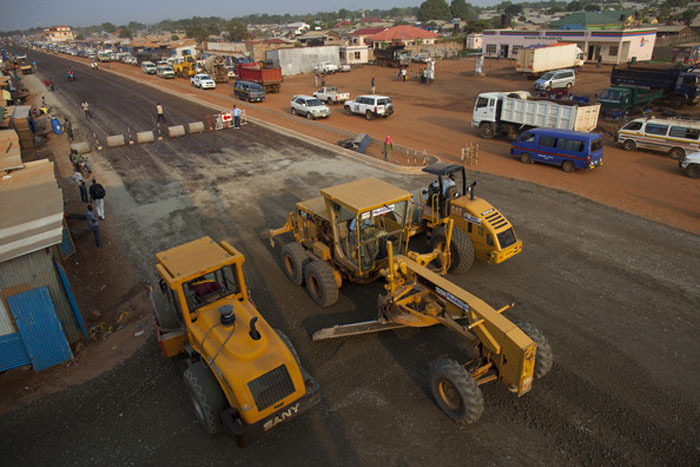 China has become a primary financier of infrastructure projects in Africa. China Exim Bank, thecountry’s official export credit agency, has approved at least $6.5 billion in loans for Africa,most of which is for infrastructure investments. China Exim Bank loans are often part of largercooperative arrangements between China and African countries, which may include trade deals,arms exports, student exchanges, and the presence of peace keepers. On its official website, the Government of South Sudan (GoSS) acknowledges its significant endowments of natural resource wealth. The new nation, nevertheless, admits that this abundance is one of the primary causes of the many years of violent confrontation experienced with the Republic of Sudan. 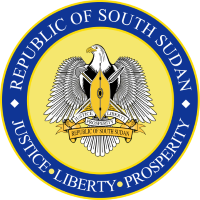 The independence and emergence of a sovereign South Sudan in July 2011, a byproduct of the 2005 Comprehensive Peace Agreement (CPA), occurred before many key issues between the two countries had been conclusively resolved. This report is an Emergency Market Mapping and Analysis of the sorghum and livestock (cattle, sheep, and goats) off take in Abiemnhom County, Unity State, South Sudan, approximately a year after the start of the conflict that resulted from the political fall-out between the president of South Sudan (Salva Kiir) and his former vice president (Dr. Riek Machar) in December 2013. The gradual escalation of violence resulted in the displacement of populations and their livestock, disruption of agricultural production, obstruction of trade routes and markets, and further compounded the severe impacts of a South Sudan – Sudan cross border trade ban, and the seasonal flooding that occurred in August and September 2014. The forest estate of South Sudan represents a key national asset for generating significant sources of revenue for the developing nation. As such its proper management is essential for promoting economic development, livelihoods and ultimately, mitigating conflict. 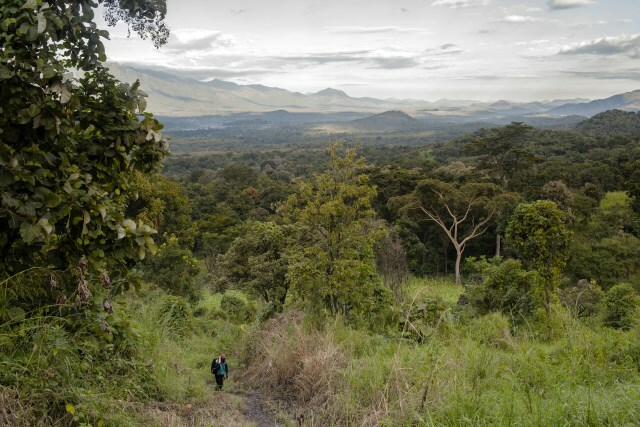 Particularly in the Equatorias, the forestry sector has the potential to generate significant benefits for both communities and government institutions associated with its management. However, the opposite may also prove true if tensions in the sector are not addressed in an inclusive manner. In addition to presenting a current picture of the forestry sector, this report highlights three important areas of tension that could create future conflict. These are: the lack of a legal framework and regulatory clarity in the sector; the growing tension among local communities and “others” around land use and land use change; and existing tensions that are exacerbated by the projected impacts of climate change including increasing scarcity and the loss of ecosystem goods and services. The Republic of South Sudan is a land-locked country that is bordered by Ethiopia to the East, Kenya to the South-East, Uganda to the South, the Democratic Republic of Congo to the South-West, the Central African Republic to the West, and Sudan to the North (see Map 1.1). It has a land area of 644,329 km2 and a population that is currentlyestimated to be about 10 million after taking account of large influxes of returnees and refugees in recent years. The average number of people per km2 is only 13, making South Sudan one of the least densely populated countries in Sub-Saharan Africa. The terrain gradually rises from plains in the north and center to southern highlands along the border with Uganda and Kenya. 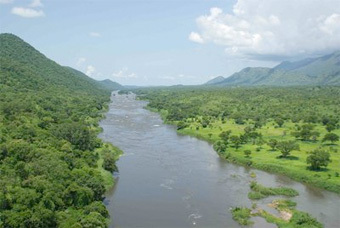 The White Nile, which flows out of Central Africa, is the major geographic feature of the country. It supports agriculture and extensive wild animal populations. South Sudan is divided into ten states which correspond to the three historical regions of Sudan: Bahr el Ghazal, Equatoria and Greater Upper Nile (see Map1.2). The ten states are further divided into 86 counties and several payams and bomas. Two years after achieving independence from Sudan, divisions within the ruling Sudan People’s Liberation Movement (SPLM) prompted renewed conflict in South Sudan in December 2013. Over 10,000 people have been killed and 1.5 million internally displaced. 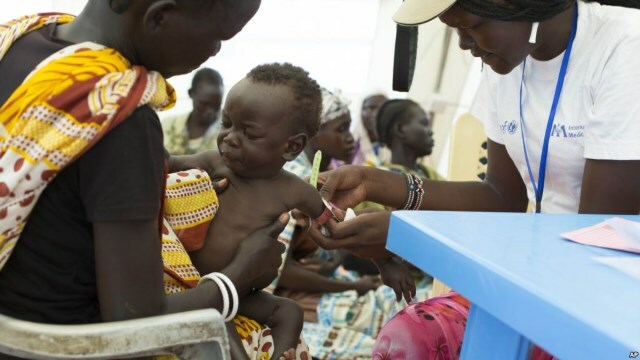 The most affected states are Upper Nile, Jonglei and Unity. Over 130,000 people – around 6% of the displaced – are sheltering in UN-administered Protection of Civilian (PoC) sites in Juba, Malakal, Bor and Bentiu (Loej, 2015). There are another 530,000 refugees in neighbouring countries (OCHA, 2015). Despite numerous rounds of peace negotiations no end to the conflict is in sight. The food situation is desperate, with some two-thirds of the population food insecure; 800,000 are in emergency levels of food insecurity. The majority of IDPs are dispersed in very remote, hard to reach areas; most humanitarian assistance has been in kind: food aid delivered via air drops. After two decades of civil war and a historic self-determination referendum, balancing the relationship between Sudan and newly-independent South Sudan has challenged the capacity of the African Union and the international community to maintain peace through negotiation. It has also been a testament to the legacy of exclusionary natural resource management, particularly oil and land, can have on nation - and state-building in the postwar era. 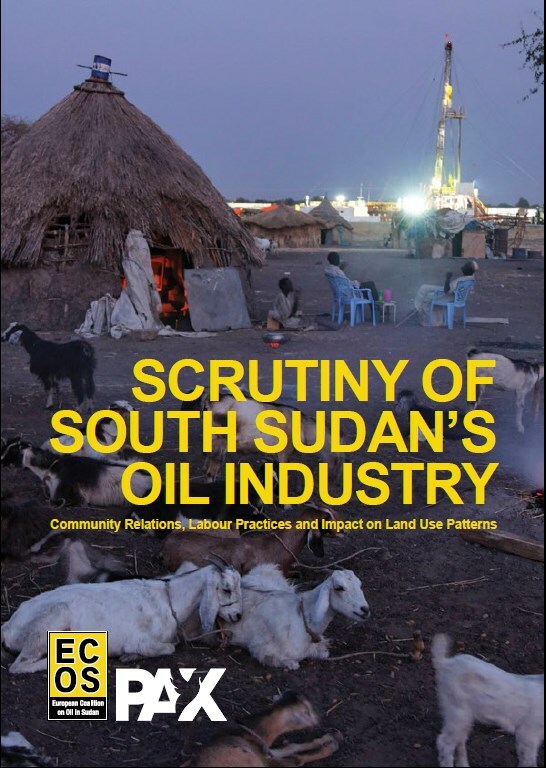 In recognition that the fair management of natural resources in South Sudan is an important factor in maintaining peace, this research examines the challenges of realigning the South Sudanese oil industry and southern land management practices given the complex post-war environment. This brief aims to contribute to the study of the relationship between government, oil corporations,and local communities in South Sudan. 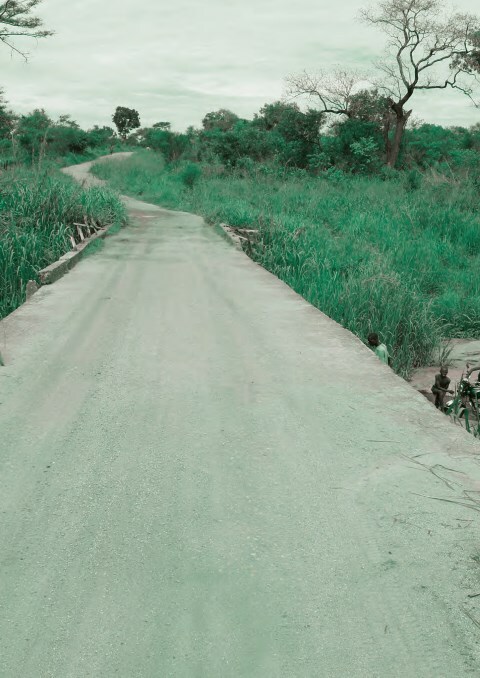 Its area of study are the oil fields of Blocks 3 and 7 in Melut and Maban Counties, Upper Nile State, the largest oil producing area in the country, which has been less well studied than the older oil areas in neighboring Unity State. 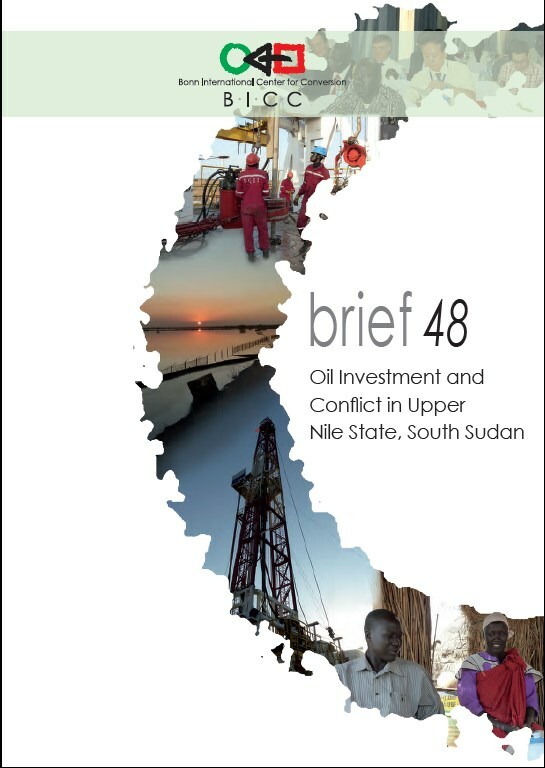 The brief focuses on the impact of oil investment on local livelihoods and its potential for provoking conflict. This summary report introduces three county-specific reports, the full version of which will be published later this year. 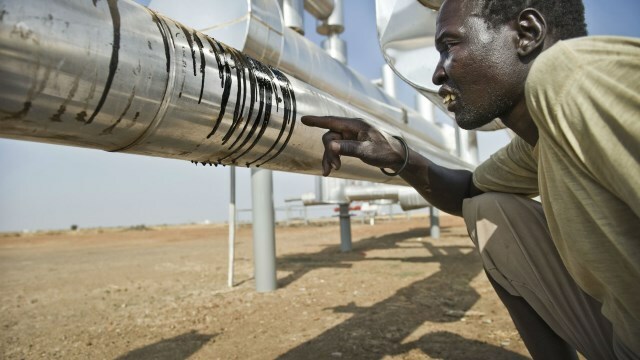 Together, the reports represent a first step towards helping South Sudan residents who live near oil and gas infrastructure from ensuring they are not negatively impacted by that development. The critical next step is to further build understanding with host communities, their understanding of the nearby resource development and understanding by others of their interests and needs in the context of the development. In the four months since this report was prepared, South Sudan, the world’s newest country, continues to suffer from conflict, in the capital as well as in rural areas where there is natural resource development. South Sudan has endured many decades of violent conflict.To escape from the cycle of destruction and revenge, theCompromise Peace Agreement signed in August 2015presents an opportunity for national authorities and theinternational community to adopt a new approach. Atechnical focus on institution-building at the nationallevel must be balanced with the delivery of tangible peacedividends across the country. Community reconciliation andeconomic development should be treated as two sides of thesame coin, and given equal weight in strategy decisions fromnational authorities and donors. Southern Sudan should not expect significant amount of peace dividend soon afterthe attainment of peace given the lack of pre-war development as well as the durationand impact of the war. Little can be expected in the short-run, but much can be attainedwithin the interim period and beyond. How much can be realized will depend onfocusing on rural development and an effectively decentralized system of government.Prioritization in resource allocation will generate more resources and increase thecapacity to develop from internal resources. To initiate a process of sustainabledevelopment, the first things must be done first. These include laying the basicinfrastructure in administration, transport, education and training, health, energy, andincentives to the peasant farmer. 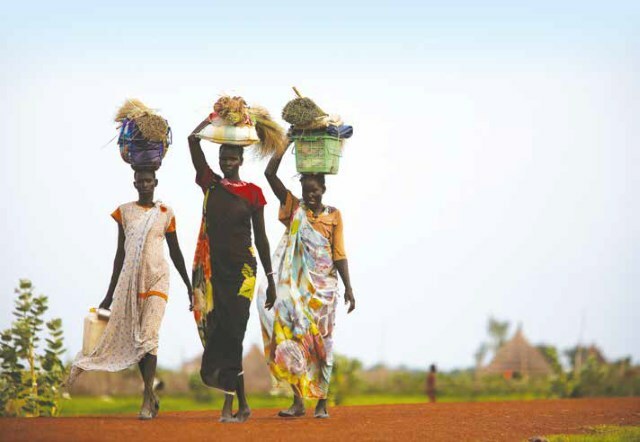 The paper outlines some elements of a strategy forlaying a sound base for sustained development that can lead to faster realization of theMillennium Development Goals (MDGs) in Southern Sudan. The current report is part of the larger project ‘Public Private Cooperation (PPC) inFragile States’, which has been initiated under the 2007 Schokland Agreement on ‘Network for Peace,Security and Development’.1 The Network aims to support and encourage the sharing of expertiseand cooperation between the different Dutch sectors and organisations involved in fragile states. Thefocus of this larger project is on tripartite partnerships in order to contribute to fair and sustainableeconomic growth in fragile states. 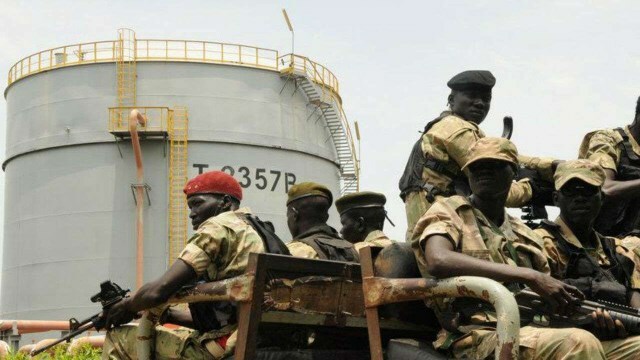 With South Sudan’s independence, in July 2011, came the responsibility to manage its multibillionpetroleum industry, constituting the backbone to the country’s economy as it accountsfor over 95% of the Government’s revenue. The studies in this report are the result of aresearch project designed to inform Government measures to improve petroleum sectorpractice, and with that, reduce tension between the oil companies and the local communities.It started in 2010 with a preliminary field visit to the oil areas of Unity State and Upper NileState to identify the most pressing issues as voiced by the communities. They included:community-company relations, with special a special concern about compensation practices;questions about labour practices, especially on the rights of South Sudanese workers; andthe impact on local land use patterns and environmental concerns. On these issues, separatein-depth researches were designed. The study on a fourth issue, concerning the securityarrangements for the petroleum industry, could not be finalised due to the changing situationon the ground at the time. This Act shall be cited as "The Investment Promotion Act, 2009" and shall come into force on the date of its signature by the President. 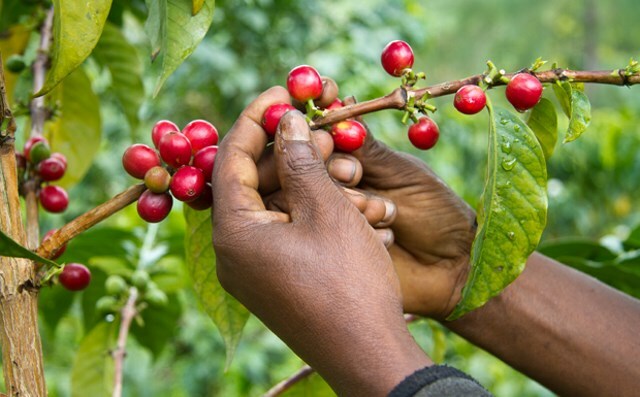 Coffee is an extremely important agricultural commodity (Vega et al. 2003) produced in about 80 tropical countries, with an annual production of nearly seven million tons of green beans (Musoli et al. 2009). It is the second most valuable commodity exported by developing countries after oil, with over 75 million people depending on it for their livelihood (Vega et al. 2003; Pendergrast 2009). It is thought that coffee was introduced to Yemen from its origins in Ethiopia around the sixth century (Pendergrast 1999). From Yemen, two genetic bases spread giving rise to most of the present commercial cultivars of Arabica coffee grown worldwide (Anthony et al. 2002). The two sub-populations of wild coffee introduced from Ethiopia to Yemen underwent successive reductions in genetic diversity with the first reduction occurring with the introduction of coffee to Yemen 1,500 to 300 years ago (Anthony et al. 2002). Introduction of coffee to Java, Amsterdam, and La Réunion at the beginning of the 18th century led to further reductions in genetic diversity (Anthony et al. 2002). This country profile forms part of SOMO’s programme on Multinational Corporations in Conflict-Affected Areas. This four-year programme, funded by the Dutch Ministry of Foreign Affairs, aims to empower local NGOs and communities to analyse the impact of the private sector in conflict-affected areas, and to ensure that companies are held to account for corporate misconduct. The programme aims to pave the way for multinational enterprises and their suppliers to make a positive contribution to post-conflict reconstruction. The programme focuses on five conflict- affected countries: Colombia, Democratic Republic of Congo, Liberia, Sierra Leone and South Sudan.